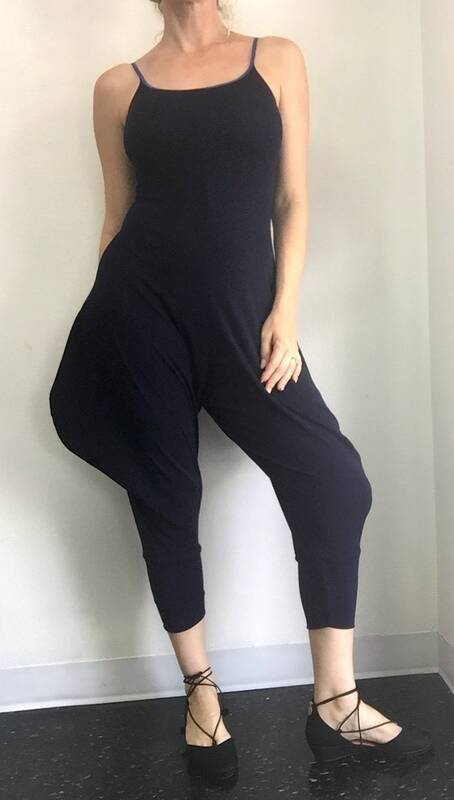 The most versatile jumpsuit you will ever own! 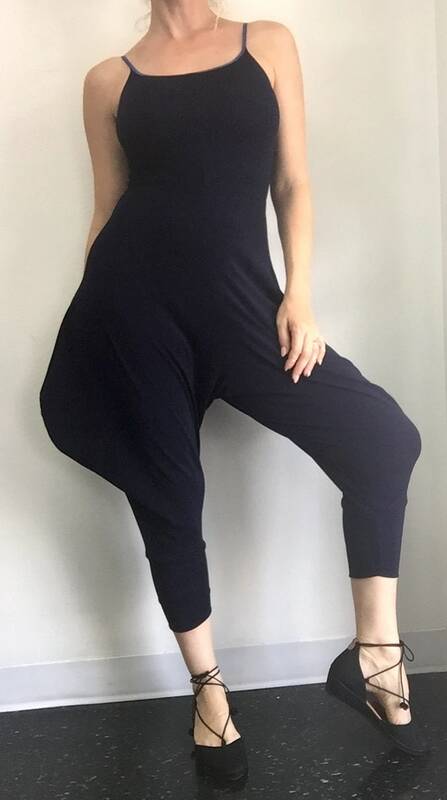 Great for travel, yoga, hanging out and going to dinner. It goes everywhere. Fitted through the bodice with fullness at the hips for ease of movement and comfort. Solid dark navy crepe knit. One size fits most - model is 5'10" and wears a US size 8-10.